It is, as yet, unknown how the group obtained the woman's personal details. A woman who procured a medical abortion in Holles Street on Monday has reportedly become the target of anti-choice groups who have obtained her personal details from an unknown source. The woman, who has chosen to remain anonymous, posted to a closed Facebook group on Wednesday night about an '089' phone number which called her and told her to 'rebook a scan' at an address in Phibsboro, following her scheduled termination in the National Maternity Hospital. The woman, looking to inquire more, rang both the Well Woman Clinic and Holles Street. Both knew nothing about the rebooked scan. She rang the 089 number back to ask for more information. It was then she was verbally harassed by the person on the other side of the phone and told she was 'disgusting' for what she had done. The woman later discovered that the address she was being directed to was British Pregnancy Services, previously called the Women’s Centre, located at 9 Berkeley Street in Dublin. The centre – where the woman later found was a place where 'they try to get girls to stop having abortions' – was exposed by The Times: Ireland Edition last year as claiming abortion causes breast cancer and turns women into child abusers. 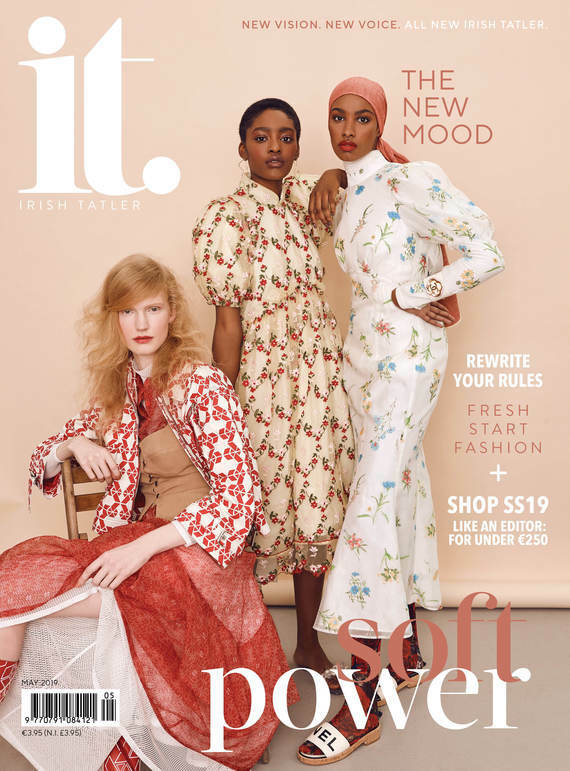 Suzanne Carroll, administrator of the aforementioned Facebook group and first point-of-contact for the woman at the centre of the story, spoke to Irish Tatler. "I'm one of the admins of the Facebook group Mas Who Drink. It has over 35,000 members – all women. And I post for girls who have serious issues and who don't want to give their name publicly. "This girl contacted me and told me her story. She was terrified and rightly so. She's a young girl and is extremely worried about where this man got her details. They were obviously leaked. "She has contacted the guards and they just told her to block him. But that's not good enough. There is a serious breach of data protection here. She wants this publicly discussed so no other woman will never go through this again ... This is going to be looked into." Suzanne was also contacted by another woman who had a similar experience when dealing with the same people. Earlier this month, Irish Tatler reported on a story where the website for the new unplanned pregnancy service set up on 1 January by the HSE had been hacked, and a bogus phone number and incorrect imagery had been put in its place. The bogus phone number in question was the same number from which the woman who procured termination was targetted. The same number, again, is linked to a Facebook page run by organisation Divine Will, which has organised an event set to be held in Kilkenny on Saturday entitled 'Learn Ultrasound'. The event description reads 'Training for pro-life scanning 2/2/19'. The ticket link, which appears to direct potential buyers to the My Options HSE website, is not functioning at the time of writing. The director of Divine Will has been linked with similar misleading ads and campaigns online during the run-up to the Eighth Amendment Referendum, including the Good Counsel Network, a fake unplanned pregnancy clinic which is run by members of the pro-life movement. In a video promoting the event, a man can be seen listing information about the event, which runs from 11am - 6pm. "Ultrasound training which will enable you to show the baby on the ultrasound for any woman considering abortion and enable the woman to hear the heartbeat," the man in the video says. "So book now on 0894441400." Irish Tatler contacted the Gardaí over this case who refused to comment due to the fact that the woman in question seems to have already been in touch with the guards. It is, as yet, unknown of how the woman's personal and medical details were acquired. The obtaining of such details is a serious breach in patient-doctor confidentiality, as well General Data Protection Regulations (GDPR), introduced last May. GDPR is a regulation in EU law on data protection and privacy for all individuals within the European Union and the European Economic Area. Under GDPR, breach notifications are now mandatory in all member states where a data breach is likely to “result in a risk for the rights and freedoms of individuals”. Doyle also said that this was the second time the DPC has received a query such as this. The first time, was an incident at Our Lady of Lourdes Hospital in Drogheda, where the details of a woman's abortion were shared on social media prior to termination, spurring a picket at the location. The situation at hand also breaches The Health Insurance Portability and Accountability Act of 1996 (HIPAA) which says that health care organisations are required to individually assess their security and privacy requirements and take suitable measures to implement electronic data protection (both in transit and in storage). As proposed, a HIPAA-compliant information system will need to include a combination of administrative procedures, physical safeguards, and technical measures to protect patient information while it is stored and while it is transmitted across communications networks. MyOptions.ie is part of the HSE website which offers free unplanned pregnancy support service which is the first point of contact for support and information about an unplanned pregnancy. Information is available about all options, including continued pregnancy supports and abortion services. Contact them on their website or the official myoptions helpline on 1800 828 010 for unplanned pregnancy information and support.